I was actually sunburnt. I’d expected to spend the weekend coping with such British staples as a sopping wet tent inner, blistered feet from drenched socks and that guilt we get from just wanting to give up and walk into the nearest hotel. Strange then, that after my long weekend camping, I was hopping aboard the train home with not only a rosy glow but a feeling that I had truly relaxed. Of course, as any Brit would know, I was extremely lucky. However it hasn’t stopped me from gushing about this national park as if I’d spent two weeks in the Maldives. Embarrassingly, I was travelling with an Aussie who had seen it all before. Despite growing up less than four hours away in Wales, I had never visited. 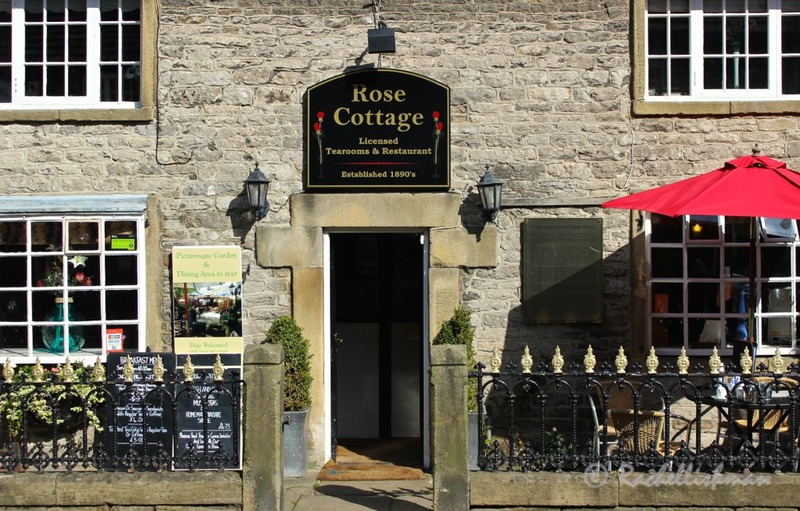 Tourists gravitate to the famous towns of Bakewell and Matlock, visiting Chatsworth House and floating around antiques fairs. However we had decided to head north to explore the smaller villages on foot. After a decadent breakfast of bananas, tinned peaches and ginger pikelets (how very Famous Five) our morning’s walk took us through farmland, along muddy tracks and past the beginnings of a barn wedding. Despite my hesitation in skulking through some maternal and potentially aggressive cows, we arrived safely in Castleton for cream teas. 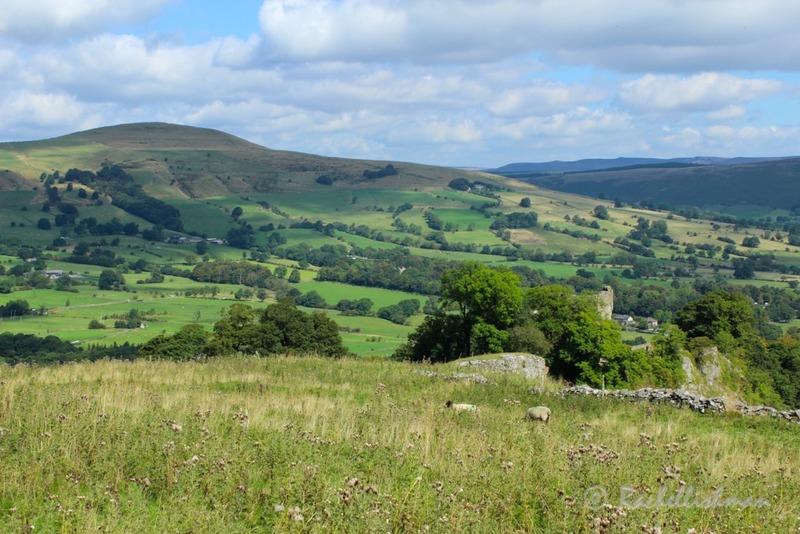 The second stage of our hike was spectacular, passing Peveril castle, a regular holiday and hunting spot of Henry II, and heading steadily upwards to Mam Tor peak. Despite a noisy stream of trippers from the car park trudging up for a quick-fix view, we were still able to appreciate a lush semi-wilderness atop Mam Tor. 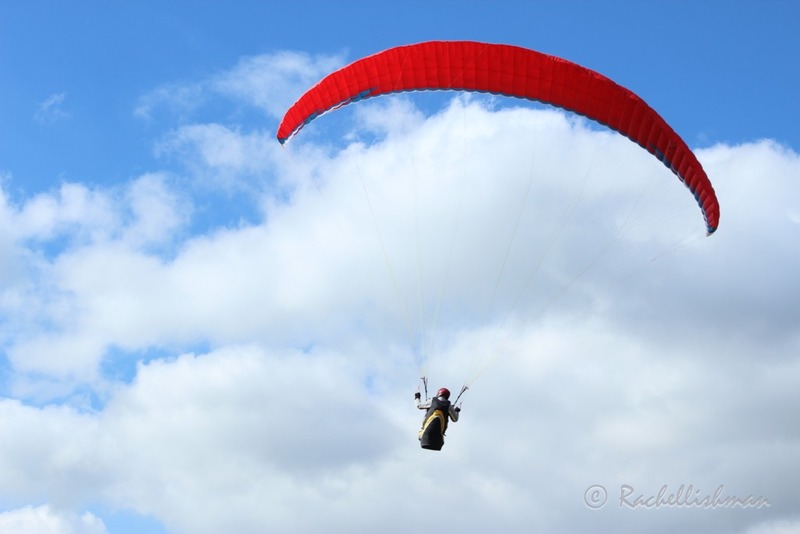 Myriad bright shades of nonchalant paragliders flitted before us. Forcibly drowning out the surrounding bustle (something at which I’ve become adept since moving to London) I imagined being part of Henry’s hunting group. Galloping to the sound of a bugle over the verdant, sheep scattered hills and heather-strewn moors. No parachutes, phone-glued tourists and cement factories in their day: Only the barren slopes that stood in front of me. With most of the hard work out of the way, the afternoon’s walk followed one of the best undulating ridges I’ve hiked. As we dropped down into Hope, I hoped the camp wasn’t far. My feet were slightly sore and the thought of a pub dinner was already making me salivate. The Anglers Rest granted my wishes and although I’m no Angler, it was certainly a rest. The perfect post hike retreat. With wholesome, cheap portions of pub fare, the friendliest staff I’d encountered in years and quite literally, somewhere to recharge our batteries, we spent hours ruminating over a pint and playing pool. The early morning mist that settled onto the valley gave the impression of a cloudy start but my technology told me that it would be yet another day of blue skies and white wispy swirls as we ambled. I say ambled, the first part was a slog! After a massive pot of morning tea we rose up behind Bamford and quickly acquired an impressive outlook. Afterwards, things got tricky. 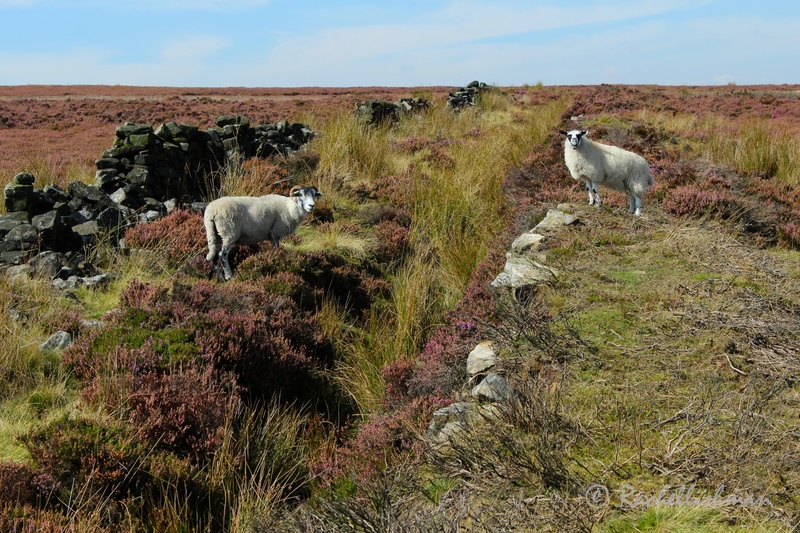 We either overshot the path or there wasn’t one, and so by midday we had progressed slowly to the base of Stanage Edge through heather, hip-high bracken and a small area of marshland. Luckily, we were accompanied by some wonderful wildlife to lift our spirits. When we eventually scrambled onto the top of the ridge our frustrations quickly dissipated. The landscape seemed endless under a hazy glow as we made our way along the edge, stopping for photos and a cheeky red wine picnic with a killer view. As the skies turned a steely-grey, we trudged into Hathersage. More than a little achy, we attempted to cheat on our favourite haunt with the village local. However one beer later we were back on a train to base camp with tummies already rumbling for the Angler’s Rest. Not very adventurous perhaps, but it was a sure-fire choice. What better way to spend our final day than going in search of the Blue John Stone and a traditional Bakewell Tart? Speedwell cavern is a flooded lead mine just outside Castleton that’s now home to guides who recount facts, figures and local tales from the days of the working miners. It’s also home to the rocks from which the fascinatingly unique Blue John Stone is harvested. Surprisingly, the mine tours began in the 19th century even before the miners stopped working at Speedwell. An eerie underground boat trip through narrow tunnels leads you to the cavern itself and the equally bizarre Bottomless Pit (actually only 11 meters deep) After learning that boys as young as eight would spend 12 hour days in this dank, dark subterranean world, my office job plummeted into clear perspective. Bakewell, the starting point for many, was where we ended our long weekend. The streets teamed with greying perms and at 30, we brought the average age down by at least 20 years! Weighed down by yet another great pub meal, we trawled the streets for the original Bakewell Tart. Many laid the claim, but only one, according to Google, was telling the truth. I’ll have to rely on the testimony of my friend, a culinary genius, who although not overly taken with the taste, assured me it was the real deal. It was all the real deal. 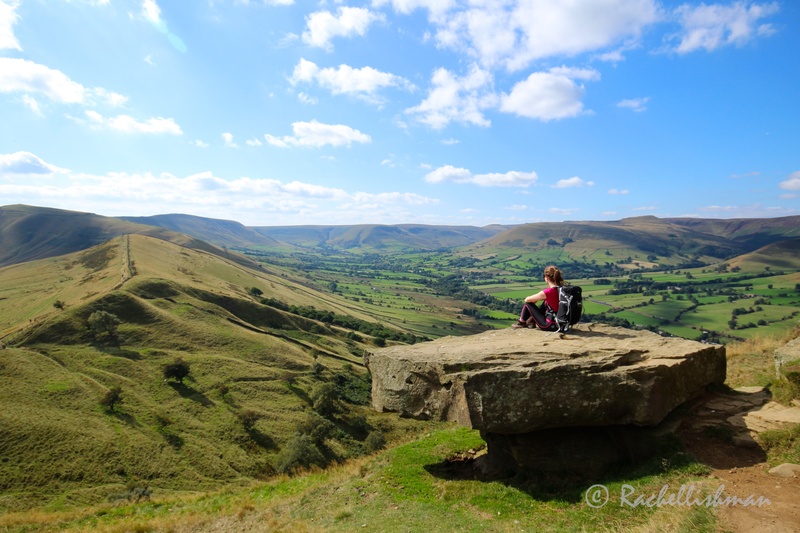 That’s exactly why I’m so enamored with the Peak District. It’s the England of a tourist’s dreams; it’s the Hovis advert; it’s an Enid Blyton book; it’s caricature England at its finest: Quaint villages with neatly aligned cottages, surrounded by castles, caves and medieval myths. Henry II had the right idea: Follow in his footsteps and go in search of a sunny day in fairytale England. 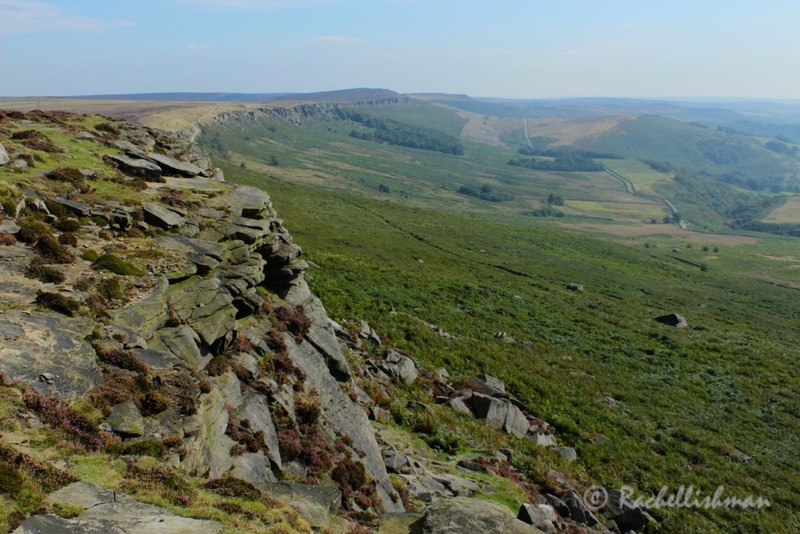 Loved your photos and descriptions of the Peak District which reminded me of our visit there. I have a huge book of pictures of the Peak District so will be reminiscing over it! 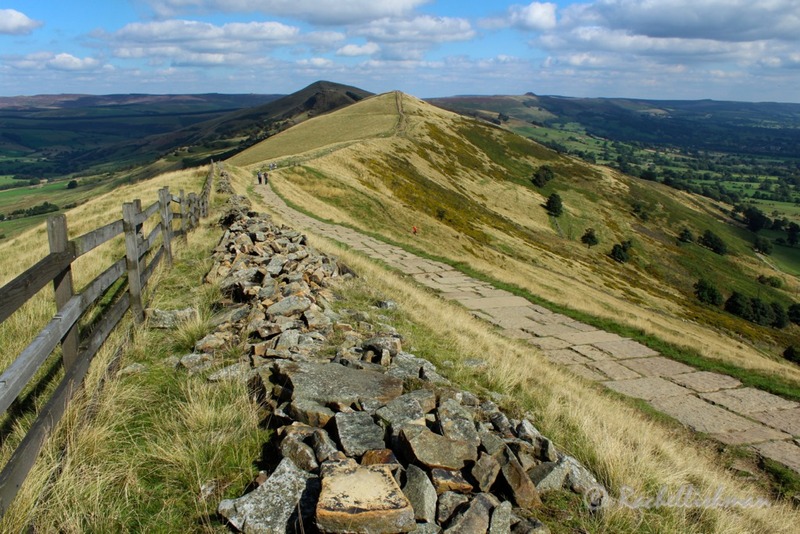 Was the Bamford to Hope via Castleton and Mam Tor hike very challenging ? 19km seems a lot to me, I’ve never done more than 15km.. I’m not sure I’m fit enough.